How to Open a Carpet Shop? 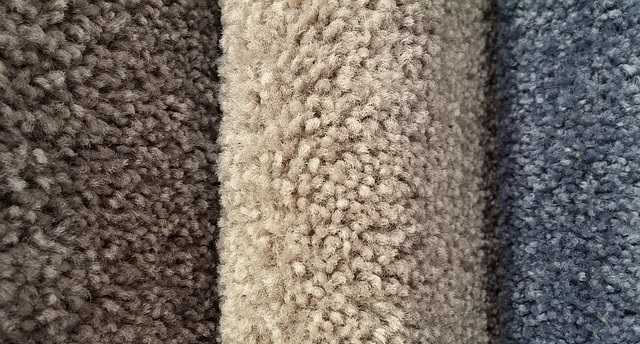 Homes, offices and retails usually use carpet in adding up warmth to their spaces making attractive carpets in demand. With the changing world everybody wants more cozy place to work and live, hence the demand of carpet is increasing every year. In this regard, opening a carpet shop is a successful venture after careful and thorough planning. Starting a carpet shop is a solid and reasonable business venture. By considering a few essential things, the business is expected to become a significant front investment. Follow all the necessary steps below to ensure that the business will become successful. Before looking into the business loans and real estate, developing an expertise in business management and carpeting is a must. Customers usually visit carpet shops and expert further that proprietors will have the right knowledge about the carpet materials, weaves, textures and performance under several circumstances. Therefore, getting a complete understanding of the carpet padding, backing, flooring elements is essential. The knowledge of operating a successful business is also a key element. Choosing to enroll in a business management course is also advisable. Prior to that, develop a business plan that will help analyze the competition and will distinguish oneself from others. This will also highlight the advertising and marketing approaches including the ideas on distributor and vendor relations. This will also outline the management, operations, structure, long-term goals and projects. Focusing on the financial section of the business plan is a must. Any insurance and business license needed must also be emphasized. The task of obtaining a start-up capital will also help along the way. The carpet shop must have its stocked showrooms and must have an initial investment. Applying for a business loan from a credit union or a bank union is also advisable. When all things have been set and done, setting up the store is now the essential consideration. Assemble all material resources including business location. An area such as a strip mall will most certainly be ideal. A supplier also need to be chosen and carpeting wholesalers need to be reviewed. This way, the best brands and varieties will be considered. With a stock of carpet products on the showroom, these now need to be offered to customers. Hiring employees is therefore a must. Showroom workers need to be paid by commission or by hourly basis. They need to be knowledgeable regarding carpeting and need to have the sufficient experience. Train them as much as possible, control and supervise them as well. An easy-to-navigate and strong website will clearly outline the services offered. Carpet cleaning companies may also be a potential client in the industry. They would most be willing to replace the carpets. Also, conduct an opening event in making a huge impact in the public. Prior to the right preparation, effort and planning, the carpet shop will most likely be a dream turned into reality. The Carpet Network Franchise specializes in providing franchise owners with an opportunity to provide mobile floor and window treatments to customers as an independent business. Do you want to know how to start your own carpet installation service? Find tips and help from this article that we have written for the businessman that is you. Starting a carpet installation business can be a real money making venture for you.